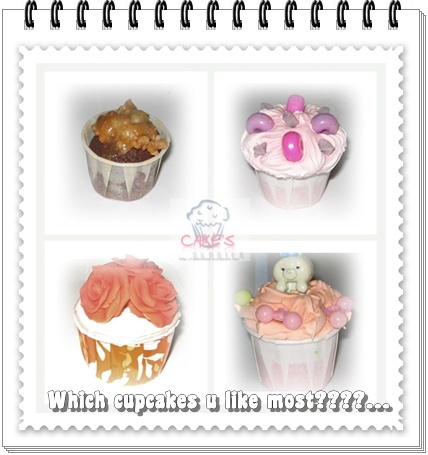 Salam and hi to all, I’m back to blogging and baking mode again!! Spending almost a week with mom, dad, and all my dearest especially with my sis’s new baby – Aisyah Farisah makes my days there fulfill with sweet memories which lasting only for a short time! 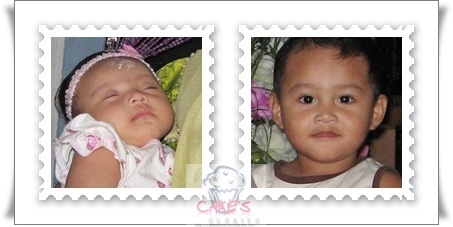 All the moments that reminds me of a magical time or a happy memory together with my love ones. I realize that when planning a trip back to my hometown this time, I could feel that I am the busiest person with my mom, the best actresses awarded in the kitchen, hahaha……planned everything from the main dish, side dishes, desserts inclusive the door gifts! 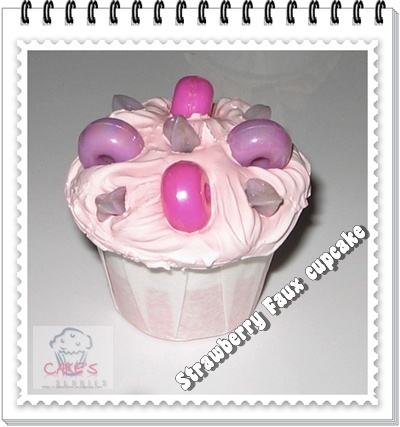 And of course I done my job here in shah alam before departure to ensure my faux cakes completed within 3 days! 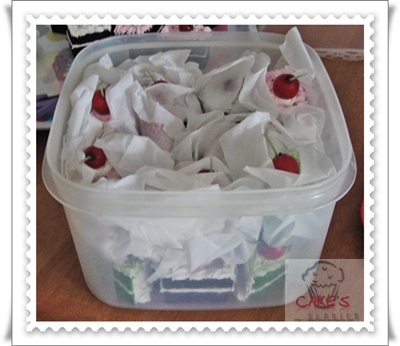 Alhamdulillah, all the gifts completed for that big day – Aqiqah and Cukur Jambul,……landed safely from KL to Kch as a compliment from us to all the guest. It’s so fragile……packed with cares before departure! 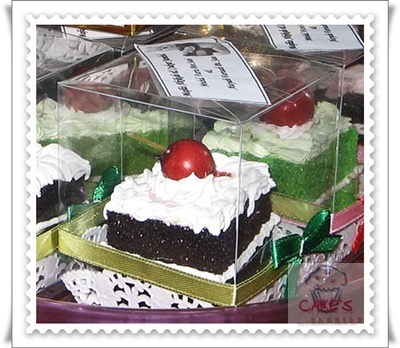 Safely landed journey…Pandan, red velvet and black forest mini cakes packed in small transparent boxes as a special gift for them…. 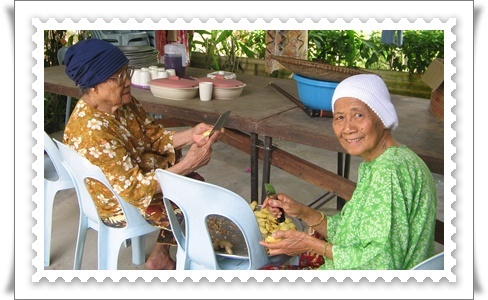 Nice to see, nice to hold, consider not to eat!!…. 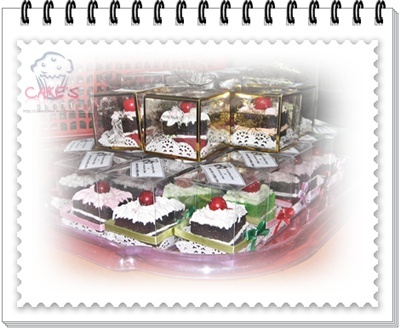 As Salam and Hi to all…….it’s only another Monday again…..my last weekend was fulfill to complete these task……….i bought dozens of sponges and another bottle of coloring early in the morning after sending my daughter to school last Saturday, just to create all these faux cakes for my sista’s baby shower! 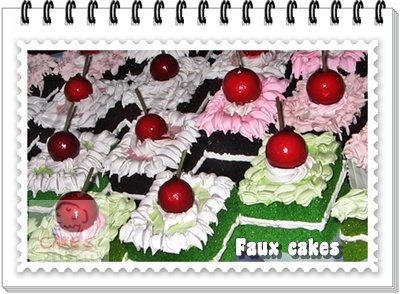 I do really love and enjoy doing this even you have to spend hours coloring and frosting all the mini cakes!! 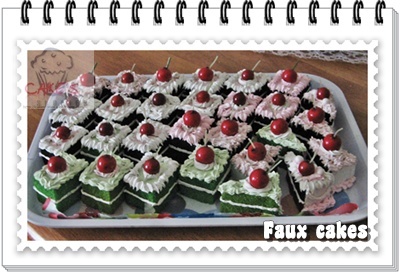 And Alhamdulillah today, i completed all the 30pcs blackforest and pandan mini faux cakes in my messy ‘lab’ – no cooking, no laundry and no cleaning!! Fuhhhhh!….. Look so tempted with red cherries on each toppings! anyone????? after drying process…………they’ll be in the cages soon! 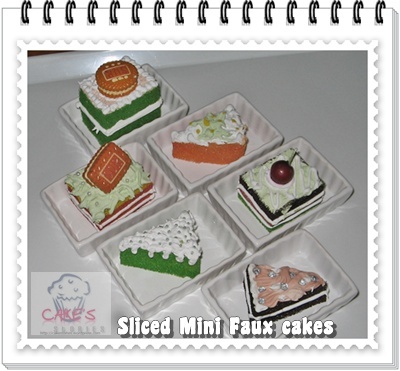 Faux Cakes as a perfect gift…. 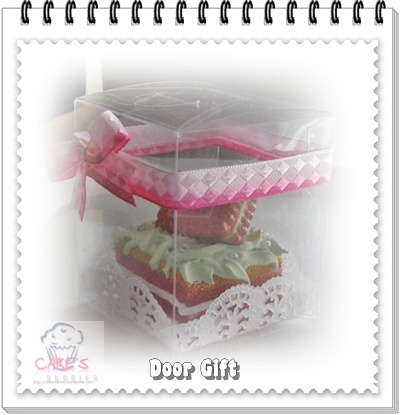 Faux cake is not just an ordinary display item but also a one step closer to your dream wedding or celebration door gift! Why not? It wouldn’t melt even it fully covered with creamy chocolates, it wouldn’t rotten or faded for years and even spoiled during a long journey! 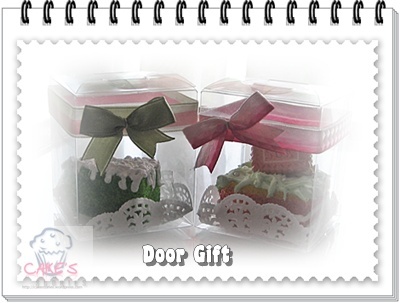 hahaha…..ain’t it good enough as your perfect gift??? 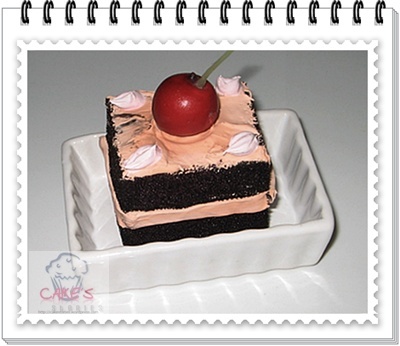 and how about this dark choc cake??? 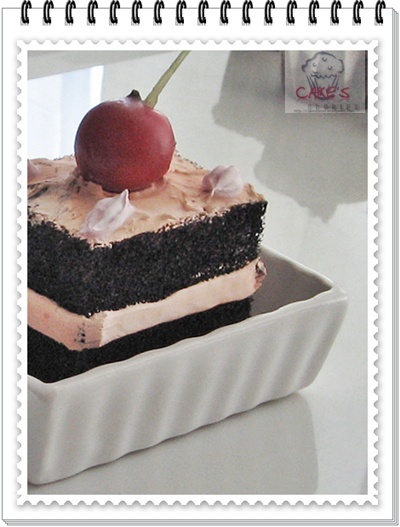 – A dark choc with cherry topper faux cake…. 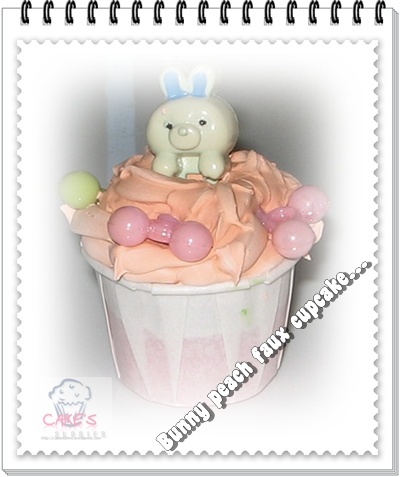 – Bunny peach faux cupcake…..